The Web Comfort WEB-T32P thermostat from Jackson Systems is a rugged, industrial control that communications with the Web Comfort Energy Manager. 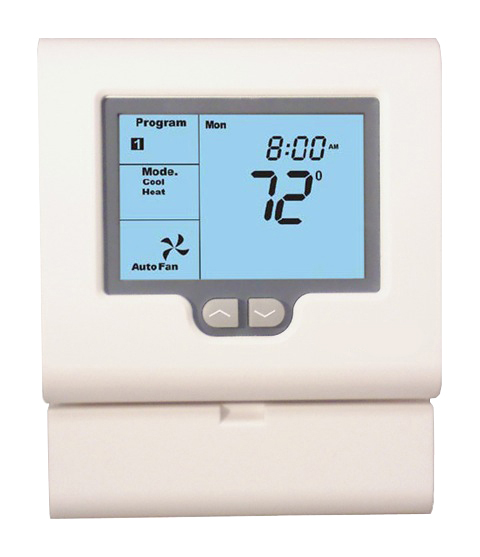 This universal thermostat features an integrated Modbus transceiver that connects to the Web Comfort Energy Manager through a secure Zigbee mesh network. This design allows each thermostat to communicate with other thermostats, extending the range and ensuring a strong and reliable signal. The integrated transceiver with factory wiring harness reduces installation time and eliminates miss-wiring. Additionally, it provides easy access for transceiver diagnostics without having to remove the thermostat sub base. Easy to install and configure: simply mount, connect, power and go!